Author of 11 Star Wars Expanded Universe novels, 1984 Hugo Award winning novella, Cascade Point, the Blackcollar trilogy, the Cobra series, the Conquerors trilogy, and many shorter works. JMW: Hello, this Jean Marie Ward for BuzzyMag.com. With me today is bestselling, award-winning author, Timothy Zahn. Welcome, Timothy. JMW: You’ve written over 40 books and countless short stories. Which of your many, many characters was the easiest to write? Timothy Zahn: So easiest to write? Timothy Zahn: They are all pretty easy to write because by the time I finish the outline I know the character pretty well. I know what their personality is, how they’re react to situations. Most of the time my heroes are fun to write too. 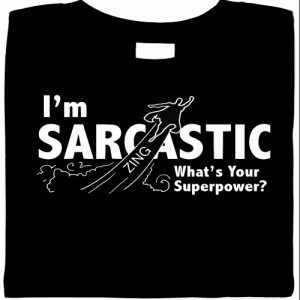 They have an offbeat sense of humor. They’re a little quirky or a little smart-mouthed, and always competent at their jobs, at least [inaudible 00:01:09]. JMW: Well, competence is certainly the key of your most famous character, Grand Admiral Thrawn. JMW: How did he come about? What was the inspiration for his character? He’s not your usual Imperial. Timothy Zahn: Not your usual Imperial. When I was offered the Star Wars books, the first thing I knew I wanted to do was that I wanted to do something that felt like Star Wars but was not doing what Lucas had already done. So that means no Death Star, no Emperor type, no Vader type. Okay, what kind of villain can I have? Well, the Emperor leads by manipulation. Vader leads by fear. How about a villain who leads by loyalty? Because in my opinion that’s a much more dangerous adversary because his people will fight for him whether he’s in the room or not. So what kind of character would the troops follow? Somebody that’s very good tactically and strategically so that they know that they’ve got a good chance of winning. Someone who will not keep fighting when their day is clearly lost so he won’t waste troops, bunches of other things. And finally, make him an alien because the Emperor really doesn’t like aliens. And if he made Grand Admiral he must be something very special. So you put all that together, and Thrawn kind of falls out of the equation. JMW: He’s very interesting to me in that he blurs the line between good and evil. Timothy Zahn: He is an adversary more than a villain. It’s a fine distinction, but you can understand an adversary, and sometimes you can actually agree with what he’s doing. But he’s still standing in the way of our heroes and, therefore, the needs of the hero-type Archimede. He’s got to be convenient. JMW: Yes. The needs of the story trumps everything else. I’m going to jump from Star Wars to something very different entirely. JMW: What prompted your entry into Y.A. with your “Dragon and Thief” books? 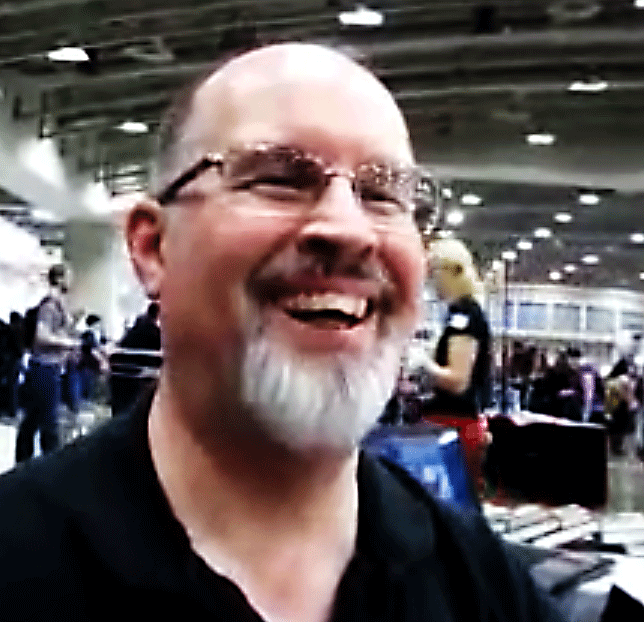 Timothy Zahn: It was just something. I had the idea for the Dragonback books for quite a while. I tried a couple of different incarnations of it, a comic book pitch, an adult pitch. And I was thinking about redoing this when I had a Christmas dinner at my sister who is a librarian commented on how well the, many years ago, how the Harry Potter books were doing, and I should write some young adult. It suddenly flashed on me if I changed my protagonist from 35-years-old to 14, this story works different but in many ways better. And by the end of that vacation, I had the names of all six books. I had the story arc, and I was ready to write it. So it was Harry Potter‘s books doing well. I could write young adult. Let’s see what comes about. JMW: Cool. Do you find it easier or harder to work in your own world versus someone else’s, or is it the same thing? Are you doing the same sorts of things? Timothy Zahn: It’s different in the sense that with an established universe like Star Wars there are certain rules I have to follow whereas with my own I can kind of make things up as they go along as long as I keep internally consistent. It’s kind of the difference between playing basketball where you’ve got the edges, you’ve got rules, you’ve got how many people you can have on the court at the same time. Versus Calvin ball which Calvin and Hobbs like to play where I can kind of make things up however I want to do them. Start a Timothy Zahn Collection! So the difficult part of an established franchise is it’s got rules, but on the plus side since the readers already know what those rules are I don’t have to take the time to explain them. I can just jump into the story. So there are plusses and minuses. They’re both fun to do. I enjoy getting into Star Wars or Terminator or something else, but I also enjoy doing my own work and creating my own universes. So I like both but they’re just different. JMW: How do you maintain your productivity when you’re doing so many things, like right now we’re at Awesome Con? And that takes a tremendous amount of time out from your writing schedule? JMW: How do you manage all of this because this is just one con among many to be involved in? JMW: I think I’ve got nine for the year. This is my second of nine for the year. And maybe I’m adding another one or two along the way. Part of it is I’m learned how to write on planes. I bring my laptop and I can do a fair amount of writing while I’m flying. Part of it I just make sure I work as much as I can when I’m home. The conventions take time, but they are necessary. They’re how I touchstone with the fans, the readers, find out what’s they’re liking, what they don’t like, what they’d like to see next. Get the input and the feedback and all of that. So it’s not like . . . It takes away from my writing time, but it’s the promotion and contact time. So, again, like too different universes they’re different, but they’re both important. JMW: Both important, both complimentary. JMW: Just two quick questions and we’re done. JMW: The first one is what are you working on now because I was hearing of a super hero story a little bit earlier. Timothy Zahn: Yes. Mike Stackpole, Aaron Allston, and I last year at Dragon Con discussed the idea of doing a collaborative novel with each of us doing up a section with our super heroes and the same villain. And then do a final part together where we would all get together and do the detail. Now that Aaron Allston has passed away, we’re going to have to modify that, but I had written this story for the Origins program book that would combine the theme of monsters and my debut super hero story. So we’re still going to be doing that in a modified form. We’re trying to find a way to do that. Other than that, I’ve got a couple of my own projects going, but I’m also starting a collaboration with David Weber set in his Honor Harrington Universe, a series called Magic or Ascendent [SP] that will be starting the story about 300 years before Honor Harrington, the early days of the star kingdom, Manticore. And that has been a lot of fun to do that. There is a universe that has very established rules, very established physics, technology, and such. And it’s fun to take the restrictions and find a good story to tell within those boundaries. JMW: That’s very cool. Well, thank you so much for taking the time out to be interviewed here at Awesome Con. JMW: Just one more question. JMW: Anything you’d like to add? Anything you want to talk about we haven’t asked? Timothy Zahn: No, I’m writing books. I’m coming to conventions. That about covers it. JMW: That’s a good thing to cover. Thank you so much, Timothy. Timothy Zahn: You’re quite welcome.